The blockade of trade with the temporarily occupied territories began on January 25. On March 5, after a lot of debate in society about its necessity, and seizure of Ukrainian enterprises by self-proclaimed “republics”, the National Security Council decided to introduce a blockade at the state level. One of the economic consequences is deferral of the third tranche of IMF financial aid. Ukrainian experts also discussed other economic implications for the country at the debate. The blockade of temporarily occupied areas of Donbas will not have catastrophic impact on the Ukrainian economy. 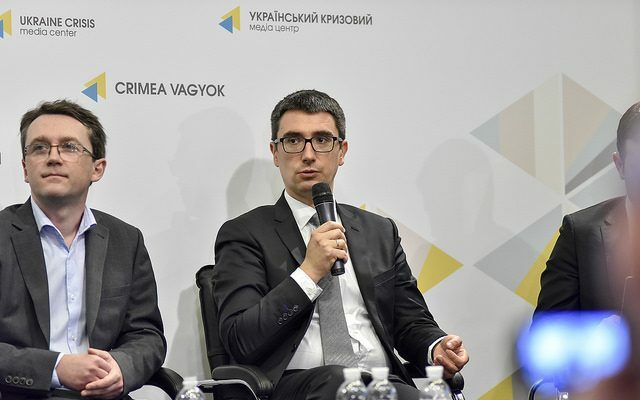 This was stated by Serhiy Nikolaichuk, Director of Monetary Policy and Economic Analysis Department, National Bank of Ukraine, during a discussion held at Ukraine Crisis Media Center. “Speaking about economic growth, we estimate the net effect of the blockade as negative, -1.3 percentage points to economic growth. 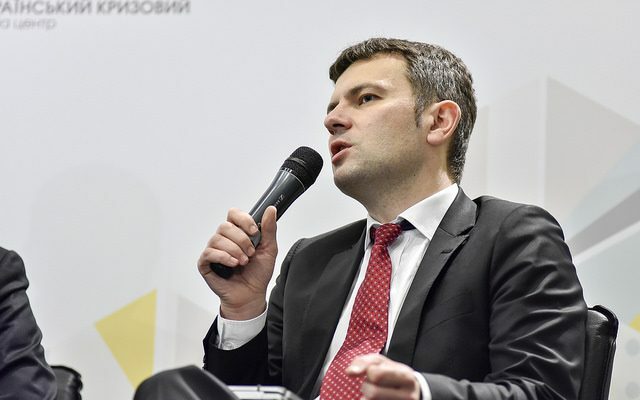 However, we take into account that Ukrainian companies working in the controlled area will be able to switch to alternative sources, and next year this effect will be temporarily negated,” he said. The blockade factor is partially negated due to much better external economic conditions than expected according to January forecasts: favorable development of prices for steel, ore and grain. “We have reviewed the economic growth this year from 2.8% to 1.9%. Next year we expect the recovery of effects and recovery of Ukrainian enterprises in the controlled territory so the economic growth forecast even increased from 3% to 3.2%,” added Mr. Nikolaichuk. The negative effects of the blockade for the balance of payments is estimated at USD 1.8 billion (reduction of income from exports of steel products, partly compensated for by higher revenues from the export of iron ore, and the need for additional imports of energy and coking coal). The current account deficit is expected to be USD 4.3 billion. According to the NBU, the blockade will have the minimal impact on the current exchange rate due to favorable external conditions and the fact that the National Bank has suspended the purchase of currency. If the forecast on exchange rates comes true, the negative effect will be minimal, said Oleksandr Parashchiy, Analytical department director at Concorde Capital. However, some negative effects may be caused by the International Monetary Fund’s reaction to blockade: it is a kind of barometer of the situation in the country for the investors, and as long as the situation remains uncertain, there is a risk that some investment projects will be delayed. Power engineering is now in a difficult situation because half of Ukrainian facilities operate on anthracite coal. 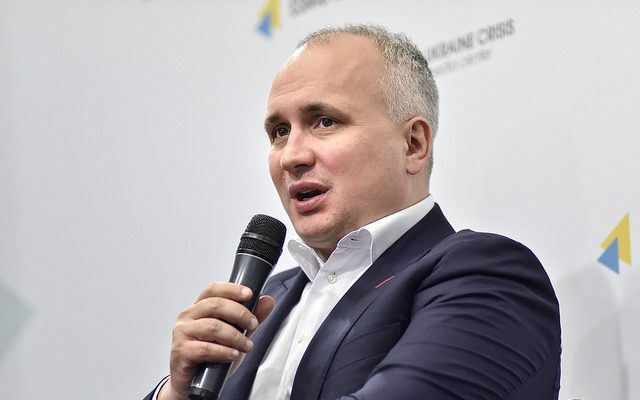 But Ukraine’s position is more advantageous than in uncontrolled territories and Russia, believes Andrii Favorov, Head of Energy Resources of Ukraine Trading. He explained that 85-90% of coal that is mined in the temporarily occupied territories can be used only in the Ukrainian energy sector due to its specification. It is also disadvantageous to sell ​​it to enterprises in Russia because its needs are fully satisfied by domestic production. But Ukraine can compensate this coal by increasing the capacity of the nuclear power industry and power plants that burn grade D coal. In addition, we can import electricity: it is cheaper than coal transportation. 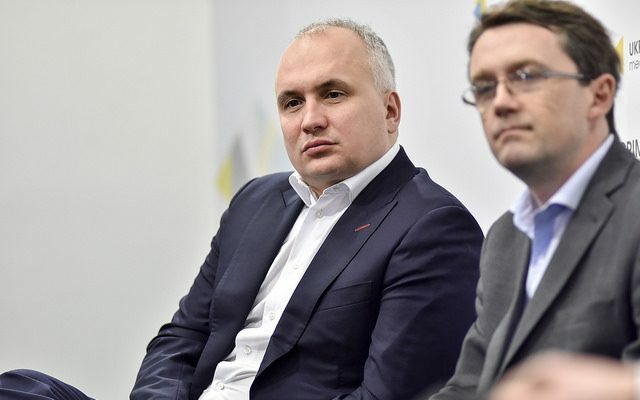 According to Andrii Favorov and Oleksandr Parashchiy, consequences for the steel industry will not be too severe; losses can be compensated for by increasing production at the enterprises in the government-controlled areas, which is also beneficial to these enterprises. A fall in prices for steel and iron ore can do more harm than the blockade. It is predicted that they will fall by 20% and 30% respectively until the end of the year. If a forecast works well, these consequences for Ukraine will be more severe than those of the blockade. Hlib Vyshlinskyi, executive director of the Center for Economic Strategy, assesses the situation less optimistically than other experts. “Perhaps, the cost is not too high, but it still persists at about UAH 30 billion of potential economic growth. It cannot be said that all this is income of Akhmetov or other businesmen who work in the non-government controlled territories,” he noted. In particular, steel enterprises will face some problems. Ukraine has lost assets of the enterprises, which remained in the temporarily occupied territory, and tax revenues from them. The “UZ” has lost a third of all freight cars and about 15% of locomotives. In the long term, it may cause negative consequences and suspension of foreign currency purchases, because it will be required to pay the debt. “Both the government and the opposition should learn a lesson from this situation. Because we see the price of the strategically ill-considered decision on unofficial blockade of the uncontrolled territories,” concluded Hlib Vyshlinskyi. According to Oleksandr Parashchiy, the main thing is that the country’s leadership has officially recognized the blockade. “This is the positive because it allows our government at the highest level to adapt all their policies to the new reality in order to minimize the negative effect,” he noted. The panelists unanimously agreed that now the blockade should become a catalyst for reforms in such areas as privatization, electric power market, land market, deregulation, fight against corruption. “The sooner this will be done, the greater will be the economic growth rate. It is clear that for some persons, each month of delay generates personal revenue. But in this case the price is the future of the country,” emphasized Hlib Vyshlinskyi.